The Centre is drawing up rules to launch a National No-Fly List to bar unruly plane passengers. NEW DELHI: Rowdy plane passengers who make a nuisance of themselves could soon be blacklisted and face ban from flying. NDTV has accessed a civil aviation ministry document that states that the aviation regulator had started work on drawing up rules for a National No-Fly List. 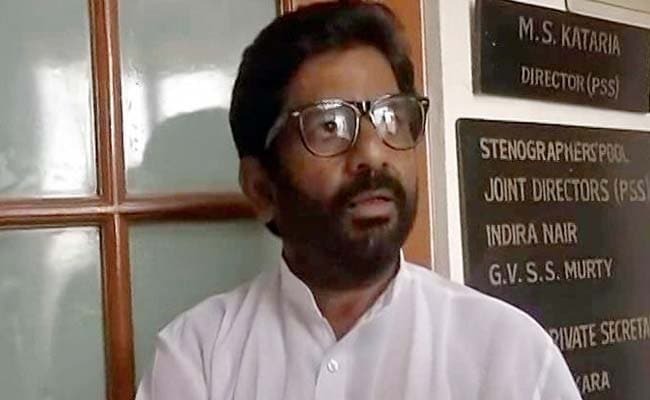 The government's decision is inspired by the success of the ban that prevented Shiv Sena lawmaker Ravindra Gaikwad from reaching anywhere close to an aircraft after he thrashed a senior Air India official on March 23 and threatened to repeat the act if challenged. Air India was the first to ban him, but 7 other airlines too followed suit in the hope of sending a clear message to passengers. The Civil Aviation Ministry had backed the ban on Mr Gaikwad but there was a realisation that there was no explicit provision in the Civil Aviation Requirement (CAR) to empower the airlines to deny a ticket or flight booking a passenger on the basis of his or her, track record. It was this rule-book that was amended in 2014 to empower the crew members to restrain tipsy passengers from creating a ruckus inside an aircraft or even at the airport. A senior ministry official told NDTV that the rules only empower airlines from stopping passenger from boarding a flight due to security concerns or to off-load the passenger for endangering flight safety. The National No-Fly List will fill this gap. Once the rules are in place, people who cross the red line during a flight or in operational areas will get added to the blacklist after a probe by the airline and civil aviation bodies substantiates the charge. "Once the list is notified, it won't be airlines who ban unruly passengers but more of an automatic process," he said. Another official hoped that the blacklist would serve as a deterrent to passengers including lawmakers who seek special treatment from airlines and are known to lose their cool when denied. "Till morning, it was just Ravindra Gaikwad but today afternoon, there was another incident on a Delhi Kolkata flight delayed by 40 minutes due to a ruckus by Trinamool Congress MP Dola Sen," he said. In February last year, China's leading airlines too decided to blacklist rowdy passengers when they became an increasing problem. A blacklist is, however, not the only tool that other countries use to deter passengers from throwing a fit. China last year proposed a USD 7,500 fine for passengers who use mobile phone, smoke or occupy seats by force on aircraft. Korean Air allows crew members to use stun guns to control rowdy passengers.